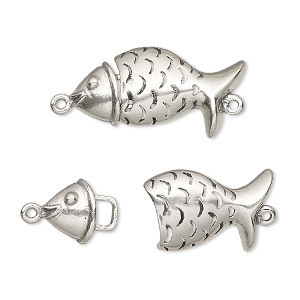 Clasp, hook, antiqued sterling silver, 25x13mm fish. Sold individually. Item Number: H20-9999FD Have a question about this item? 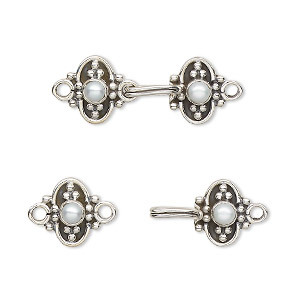 Let your clasp be the beginning, not the end. 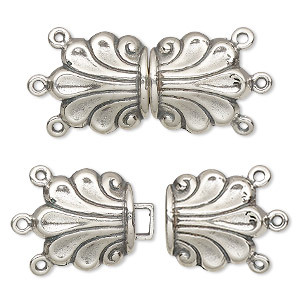 Clasp, 3-strand hook-and-eye, antiqued sterling silver, 18x16mm rectangles. Sold individually. 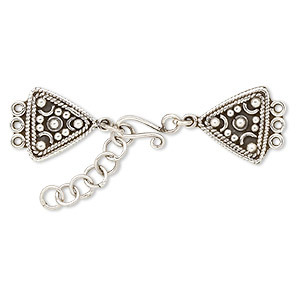 End bar, antiqued sterling silver, 50x16mm 3-strand beaded triangle with 1-inch extender chain and hook-and-eye clasp. Sold individually. 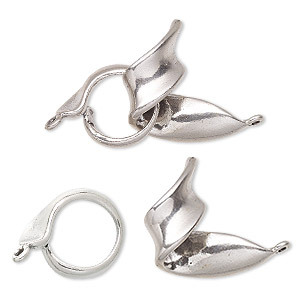 Clasp, 3-strand hook, antiqued sterling silver, 30x15mm fountain. Sold individually. 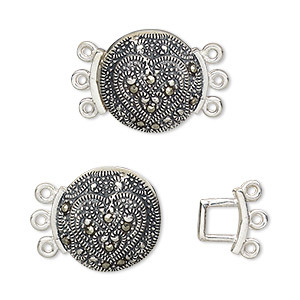 Clasp, 3-strand hook, marcasite (natural) and antiqued sterling silver, 15mm round with heart. Sold individually. 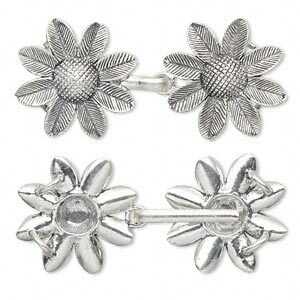 Clasp, 2-strand hook, antiqued sterling silver, 65x28mm with 31x28mm flower. Sold individually. 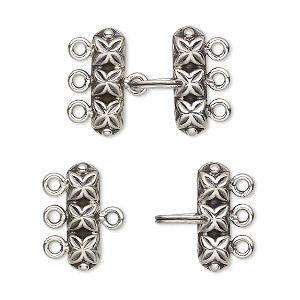 Clasp, 3-strand hook, sterling silver, 16x9mm. Sold per pkg of 2. 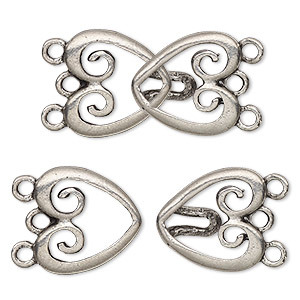 Clasp, 3-strand hook, antiqued pewter (tin-based alloy), 30x16mm double heart. Sold individually. 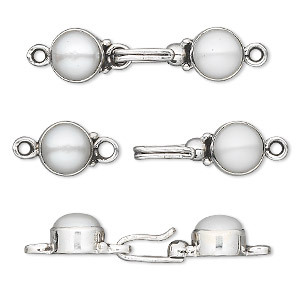 Clasp, hook, cultured freshwater pearl (bleached) and antiqued sterling silver, 25x10mm. Sold individually. 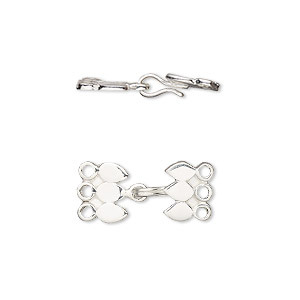 Clasp, hook, sterling silver, 27x19mm twisted ribbon. Sold individually.